Cars are among the most complicated machines that we use on a daily basis. It may not seem like it, but every time you climb into the driver's seat and turn the ignition key, you're setting into motion a complex Rube Goldberg machine of interlocking parts that all have to work in perfect harmony for your car to function the way you need it to. Of course, you don't have to be an auto mechanic to own and operate a car – thankfully. But even the least mechanically inclined driver should brush up on a few basic maintenance tips and tricks. You don't need to become a total grease monkey, but having some fundamental car maintenance knowledge may save you some time and money later. Checking your oil is simple, but important. Chances are, even if you can't tell a carburetor from a crank shaft, you've had at least some experience checking or changing oil. It's perhaps one of the most basic essential maintenance operations you can perform on your car. Standard wisdom says that you should have your oil changed every 3,000 miles, but according to Edmunds, that's a rough estimate at best. Every car will be different depending on make, model, age and any number of other factors, so the source reported that the best way to get an accurate indication of when you should change your oil is to consult your owner's manual. Of course, you can check your oil any time. There are minimum and maximum fill lines in the oil tank that you should aim to keep your levels in between. The Department of Motor Vehicles also noted that you should choose the right oil for your engine and climate. Some blends are better for cooler areas, while some thicker and heavier oils perform better in warmer climates. Nobody likes leaving work at the end of the day only to find out that their car battery has died and they're stuck waiting for a jump from a service vehicle or a friendly passerby. The battery is part of a car that many drivers don't give too much thought to until it breaks, however. 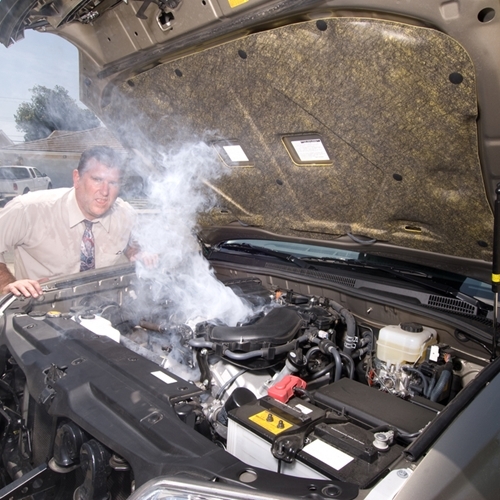 There's more that can affect your battery than just leaving your interior lights on. For example, rusty or corroded battery contacts can also compromise its performance. Luckily this can be checked easily by popping your hood. Take a look at the battery contacts and gently wipe away any rust or corrosion. "There are a few ways to tell if your wiper blades need to be changed. " There's no worse time to find out that your wiper blades need changing than when you're driving down the highway in a torrential downpour and you find your windshield getting increasingly streaked with every pass of the blades. There are a few ways to tell if your wiper blades need to be changed. You can give them a quick visual once-over – any ragged or torn edges on the rubber are a sure sign that a replacement is in order. Similarly, if you notice streaking or hear a chattering or slight chirping sound when you use your wipers, that likely means you should have them replaced. NTB Tire and Service Center noted this sound indicates the wiper blades have worn down and are no longer making contact with the windshield when in use. Replacing wiper blades is a task you should be able to do yourself just fine, but if you find yourself unsure or have never done it before, a mechanic will be happy to do it for you. Your tires can affect many facets of your car's performance, from how well it grips the road to what kind of gas mileage you'll get when driving. Inspecting them regularly is important for both safety and economy. When inspecting your tires, check both the tread and the air pressure. The latter can be checked with a hand-held pressure gauge that you should keep in your car at all times. Once again, refer to your owner's manual for what the desired psi for your tires should be. Your tread you can check with nothing more complicated than a quarter – just stick the edge of the coin in your tire tread. If you can see the top of George Washington's head, your tires have worn down too much and need to be replaced. Purchasing a high-quality used car can be an exciting and liberating experience. If you're ready to find a car of your own, head to New Jersey State Auto Auction. There you'll find hundreds of Carfax-certified cars on the lot and a helpful sales staff that can put you in just the right vehicle. It's every driver's worst nightmare: You walk out to the parking lot from the grocery store, library or even the office, only to discover that your car somehow isn't where you left it. A brief moment of panic – was your car stolen? – and then the reality of the situation hits – you've been towed. Despite your best efforts, getting your car towed is an unfortunate reality for a surprisingly large number of motorists. In fact, according to Statista, the instances of cars being towed are actually on the rise. Between 2008 and 2013, the source indicated that towing revenue in the U.S. rose from $5.25 billion to $6 billion. Whether you miscalculated your time at the meter, didn't see that "no parking sign" or just suffered from plain old bad luck, getting your car towed can be stressful and expensive, especially if you've never dealt with it before. Here are a few basic steps to guide you if you find yourself in this position. There's no denying that walking out to a parking lot only to find your car missing can trigger a cascade of worry and panic, but it's important to try to stay calm while avoiding making assumptions. 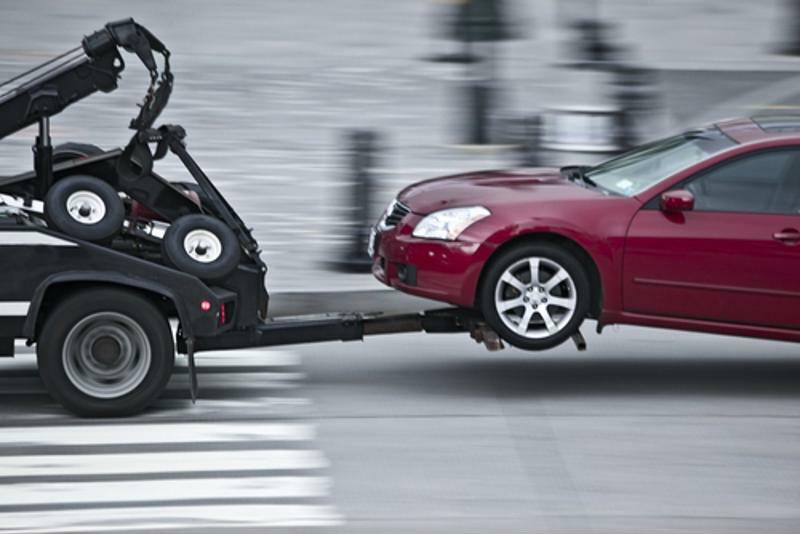 Unfortunately, many towing companies aren't obliged to inform you that your car has been removed, which leaves it up to you to figure out if your ride has been hauled away in the first place. The first thing you should do is call your local police department. They should be able to inform you if your car has been registered at any of the local impound lots, indicating that it's been towed instead of stolen. 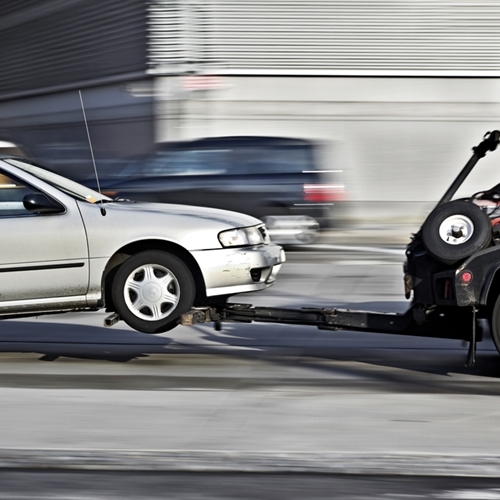 Even in this stressful situation, knowing that your car has only been towed is something of a silver lining at least. The first step to getting your car back is finding out where it was towed. Once you've established that your car has found a new temporary home at an impound lot, you should make retrieving it your new priority. You may be tempted to wait until the weekend or your day off next week, but that could have disastrous consequences. Impound lots charge you a fee for every day your car sits there, so the longer you wait to pick up your car the more you'll end up paying to bust it out. Even more seriously, if you wait too long, the lot may simply auction off your car. Towing companies may not even call you to tell you your car is about to be auctioned – instead, they'll print the announcement of the auction in the local newspaper. Remember those? Didn't think so. It's definitely worth the minor inconvenience to avoid a major headache later. If you find yourself in a situation where your car has been towed, it can understandably feel like you're utterly powerless. Fortunately, you aren't without rights in these situations, and it's imperative that you keep these in mind so you can avoid being taken advantage of. For example, many towing companies will insist that you pay the required fee in cash, which can put a damper on many people's plans of reclaiming their rides. However, even though it's standard practice, towing companies can't legally obligate you to pay in cash – they have to accept debit or credit transactions. Similarly, some cities and states allow drivers to take their cars home from the tow lot without having to pay the fee up front – all that's required is that you provide proof of ownership, Arizona's State Press noted. Be sure to inspect your car for cosmetic damage once you pick it up. It's unfortunate, but there's a decent chance that when you retrieve your car from the tow lot, it won't be in the same condition you left it. 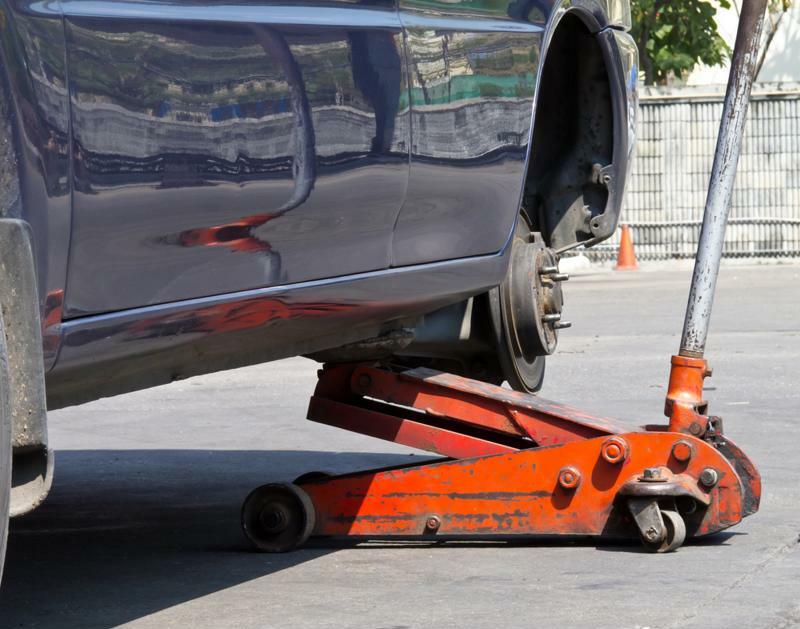 You may think that tow truck drivers are obligated to take care of your car in the process of towing it, but this isn't the case. 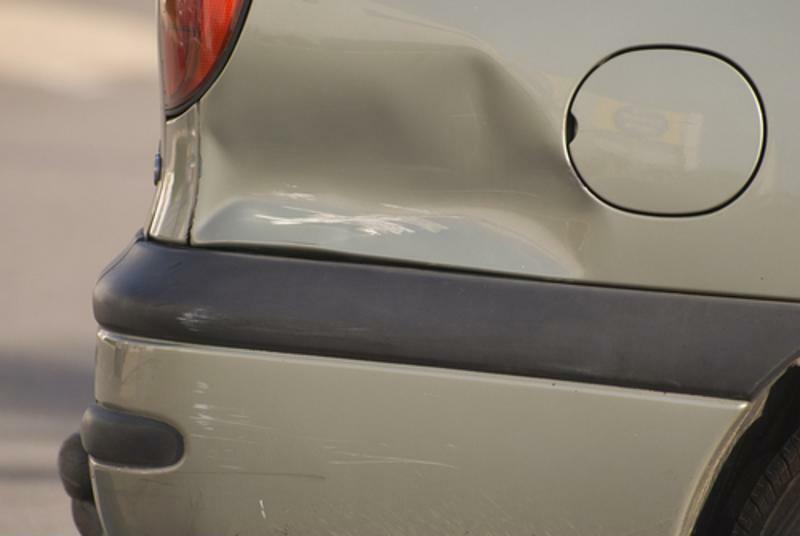 In fact, in many instances, operators who are in a hurry, late for another appointment or simply absent-minded may make careless mistakes that can result in things like scratches or even dents to your car. Most of the time these issues are strictly cosmetic, but if you notice particularly egregious damage to your car's exterior it may be worth it to get it inspected to ensure there isn't any more significant damage that's been done. "Use the process as a learning experience." As they say, to err is human. Mistakes are an inevitable part of life, even those that result in your car getting towed. But the important thing is to use the process as a learning experience. If your car was towed due to illegal parking, be sure to be more fastidious about only parking in spots that you know you're permitted to do so. Similarly, avoid racking up parking tickets – they may seem like little more than a nuisance, but if amounts accumulate too much, you can find yourself making another trip to the impound lot. 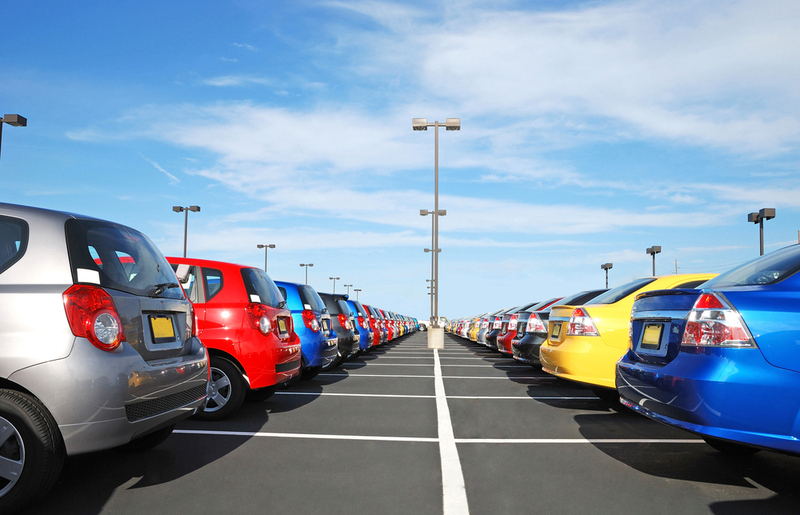 If you're in the market for a high-quality used car, head to New Jersey State Auto Auction. There you'll find hundreds of Carfax-certified cars on the lot, ensuring that you'll drive away in the ride of your dreams. Owning a car can be as exciting as it is liberating. More than a set of wheels or a means of transportation, your car can easily become an extension of your personality. This is why many drivers personalize their cars, or even name them, to strengthen the bond between car and driver. But like Robert Frost reminded us, nothing gold can stay, and before long you may find your initial automotive attraction fading. Maybe your vehicle is getting on in years, or perhaps it may not have the features you need for your current lifestyle. If your love has faded with the new-car smell, don't fret – there are ways you can spice up your relationship with your ride without having to head to the dealership. There is a growing number of gadgets, apps and other aftermarket gizmos specifically designed to improve your relationship with your car. While some may seem superfluous, bordering on silly, there is still a wide array of car gadgets that can genuinely help you get more out of your ride. Here are just a few. Having the freedom afforded by a car doesn't amount to much if you aren't sure of where you're going in the first place. Dashboard-mounted GPS units have become commonplace for many drivers, but there are some that go above and beyond simple turn-by-turn instructions. Take, for instance, the Garmin nuviCam LMTHD navigation system. Retailing for $394, according to Digital Trends, this bad boy is definitely not your grandma's GPS unit. In addition to providing comprehensive directions, it also responds to voice commands for safer operation. It boasts some impressive features, like driver-safety aids that alert you when you're inadvertently crossing over your lane or are in danger of a front-end collision. Best of all, this unit taps into the GoPro generation with its inclusion of an always-on dash cam. 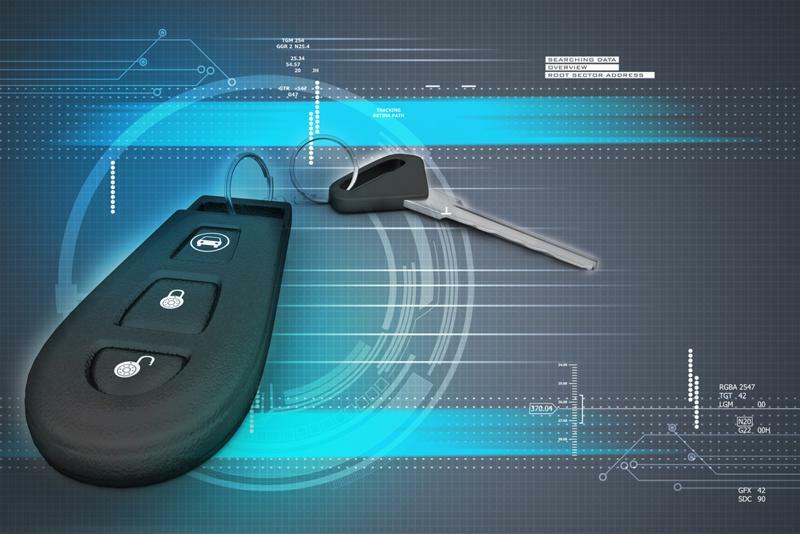 Keyless remote technology is becoming more advanced. Autumn is here, which means that before you know it the cold weather will be upon us and drivers across the country will be dreading climbing into their frigid cars every morning. Fortunately, gadgets like remote starters can help assuage that fear by letting you start your car via remote from inside your home, office or school. Some models, like the Viper 5706V two-way security and remote system, go above and beyond by adding additional security features to the conventional remote-start. For $195, you'll get a two-way remote that can not only start your car, but will also let you enable a car alarm if needed. Even better, because the remote has two-way functionality, you'll also receive a notice if someone tries to start your car when you're not there. For the smartphone generation, there are app-based remote-start systems that parents are sure to love. Using the GPS functionality of the garden-variety smartphone, the app lets users locate their car, and can send alerts if your kid travels outside a designated "safe zone." For extreme cases, the system can even "lock down" a car – perfect for keeping your grounded teen at home or foiling any attempts at stealing your car. Cars are incredibly complicated machines, and so it seems odd that we tend to operate them all on our own. Aside from the mechanics of driving itself, there are a host of more subtle factors that can affect performance, fuel efficiency and even safety. Thankfully, this no longer has to be a job you take on all by yourself. Take, for example, Automatic's Smart Driving Assistant. This device provides drivers with an incredible amount of information, ranging from engine diagnostics to data on your car's fuel efficiency. It's also great for new drivers, as according to CheatSheet, the system can set driving goals aimed at encouraging responsible driving. If you've ever found yourself cowering in confusion at the indecipherable lexicon of your car, don't worry – the device also translates engine codes into plain English on your smartphone, so you don't have to be a mechanic to understand any issues that may arise with your car. Best of all, the Smart Driving Assistant sells for around $100, and you can bet that you'll be saving much more than that just in improved fuel efficiency alone. HUD projectors are helping drivers keep their eyes on the road. 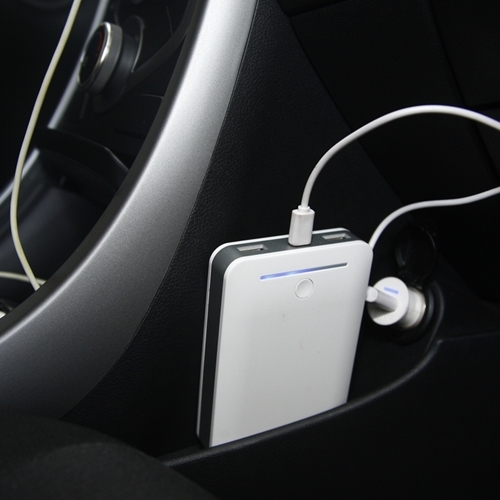 Your smartphone or tablet is great for managing your entertainment needs, so why not apply that same design and sensibility to your car? That's exactly what Apple did with its CarPlay gadget. This system lets you sync your iPhone or iPad's media settings to your car's control console, enabling you to select music, podcasts and e-books with a touch or even a voice command, courtesy of Siri. If you want even more space-agey gadgets, you may be interested in one of the HUD offerings that are popping up. These combine the diagnostic tools and information-gathering of a smartphone with a projector that displays all your relevant dashboard information up on the windshield so you don't have to take your eyes off the road. If you're looking for a car to fall in love with and make your own, head to New Jersey State Auto Auction. There you'll find hundreds of Carfax-certified cars, as well as a knowledgeable sales staff dedicated to helping pair you with the car of your dreams. The broke college student stereotype exists for a reason. As you try not to subsist entirely on ramen noodles, a car might seem far out of the picture, but that’s not necessarily true. Our used car dealer in Jersey City has plenty of vehicles that are known to be a great buy. Take a look at our selection of long-lasting, reliable, and stylish vehicles to see which one suits your back-to-school needs! 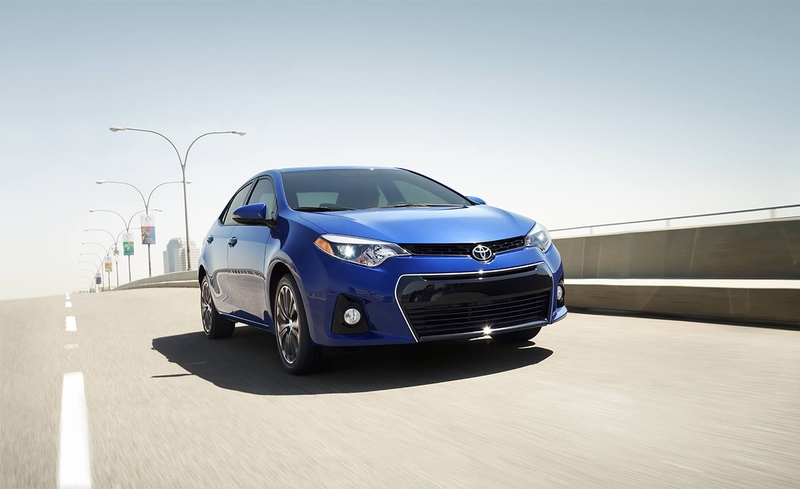 A pre-owned Toyota Corolla is the perfect match of style and substance. Boasting the same drive train since 2003, a well-maintained used Corolla from our Jersey City lot will have a like-new feel every time you get behind the wheel. Smooth acceleration with responsive handling make it a great drive with a sporty feel cloaked in the body of a comfortable sedan, all with a fantastic price tag. New Jersey winters can get ugly, and the last thing you want is to miss a class because your car can’t make it through the elements. If you’re looking for something with a little more power that maintains reasonable fuel efficiency, we recommend a crossover SUV. Vehicles like a Honda CR-V are waiting for you at our Jersey City used car dealership, still in great shape and ready to take on whatever the road gives them. The CR-V is a driver favorite not just for its impressive capability, but for its comfort and generous appointments, two features that put it ahead of many sparsely-appointed vehicles in its class. This is the perfect pick for commuting students who want to make it to class on time, every time. We work with budgets of all kinds, and we encourage students to visit our dealership. You can sit down with our knowledgeable staff to find the vehicle that best fits your needs and drive off with exactly what you need to face the school year ahead. The seemingly infinite freedom and convenience of owning a car can suddenly come crashing down around you when it's time to head to the gas station. Rising fuel prices appear to be an inevitability in today's world, which means drivers everywhere have a vested interest in doing whatever they can to get the most out of their gas mileage. Fortunately, cars are being made that are more fuel-efficient than ever. If you're a used-car owner, however, it's much more helpful to devise ways to get the most out of your existing ride without having to shell out major bucks for a newer car. Here are a few tips for milking your mileage and saving some money at the pump. This should go without saying, but it's an important gas mileage-related point so it bears repeating. Reason dictates that the better overall shape your car is in, the more efficient it's going to be when it comes to gas mileage. You may be aware of some basic maintenance functions like keeping your oil fresh, but there are other low-level maintenance tasks you can take care of right at home that will keep your gas mileage where you want it to be. Advance Auto Parts noted that poorly maintained spark plugs can reduce your fuel efficiency by up to 12 percent, while something as simple as a dirty air filter can leave your car 20 percent less fuel efficient. Your tires are the unsung heroes of your car. You may be aware of the important safety role they play, but they are also significant in keeping your gas mileage in the black, too. The blog Get Rich Slowly noted that underinflated tires can reduce your fuel efficiency by up to 25 percent, while overinflated tires can similarly impact your fuel efficiency in a negative way. You may be interested to know that when it comes to maximizing your fuel economy, the onus isn't entirely on your car. Your behavior and driving habits can have just as big an impact on how many miles per gallon you get. Anyone who's a veteran of city driving is no stranger to the familiar cadence of stop-and-go traffic, but did you know it's terrible for your fuel efficiency? Repeated accelerating and braking can drop your fuel efficiency, according to Popular Mechanics. For weekday commuters, this may mean getting creative with your work schedule so you can plan your commute around the rush hour period when this type of driving is more or less unavoidable. "Stop-and-go driving is terrible for your fuel economy." Do you need to run to the post office over the weekend to drop off a package? What about heading downtown to catch the final day of a sale at your favorite clothing store? There are constantly little errands that we find ourselves running, but if you take a minute and do some planning, you can reap the benefits when it comes time to head back to the pump. Stop-and-go driving is terrible for your fuel economy, and that goes for taking short jaunts out to various destinations around town and back. Not only will this help you save money at the gas station by cutting down the overall distance you're driving and, by extension, the amount of fuel you're using, but you'll also likely find that it has a positive impact on your time management, as well. These days it seems you can find a magic bullet for any occasion, and improving your gas mileage is no exception. But as the old saying goes, if it sounds too good to be true, it likely is. Unfortunately, this maxim applies to these miracle products claiming to boost your fuel efficiency. According to the U.S. Federal Trade Commission, there are currently no products on the market that have been approved to actually improve your car's fuel efficiency, which means any bottle, can or box you find on the shelf at your local auto supply store that claims to do so is lying. Even worse, some products can actually worsen your car's gas mileage, essentially meaning you're paying even more for less. If you'd rather trade in your car for a more fuel-efficient model, head to New Jersey State Auto Auction. You'll find hundreds of Carfax-certified cars on the lot, and you're bound to drive away in the used car that's perfect for your needs. Car color matters. It’s part of the “wow” factor that attracts you to a car, and if you love the color of your car, walking through the parking lot and seeing it never loses its magic. However, there are some myths about different car colors that may make them less appealing to some. Here are the facts and fiction of car colors. Don’t let urban legends keep you from getting what you want! Red cars are more expensive to insure: Fiction. Red car lovers, rejoice! If you’ve been dreaming of having a flashy red vehicle, don’t be deterred by the thought of rising insurance prices- car color has no effect on your rate. Car color affects resale value: This is a mixed bag. For example, if you’re planning on reselling your vehicle a few years down the line, you might want to stick to something more conservative or popular, such as white or silver. It will be more difficult to attract someone who’s willing to buy a bright yellow car. However, at the ten year mark, the color stops having a high impact on the resale value. Car color affects the car’s interior temperature: Fact. 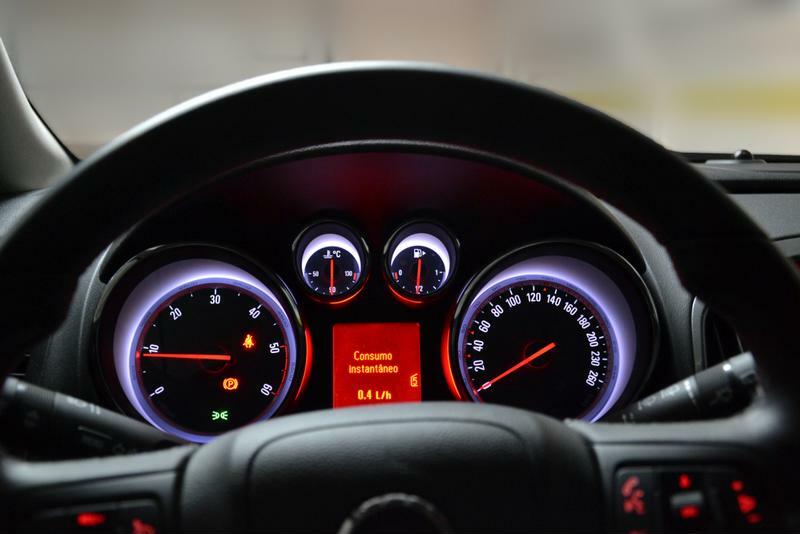 The interior of a black car was found to be about 10 degrees warmer than a white one. However, the difference is kept to a minimum thanks to advances in automotive materials, such as paint and glass, which can help with filtering sun. The interior color has a bigger impact on heat than the exterior. Some vehicle colors are more visible than others: Fact. This is just a matter of a color’s place on a visibility index, but black cars are significantly more likely to be involved in accidents (especially at the dusk and dawn hours). These are some of the most talked-about factors when shoppers are deciding on a car color at our Jersey City used car dealer. Stop by and see the range of colors we have- you’ll be impressed by our inventory! You may have noticed the very first leaves of the season beginning to change, or the fact that the temperatures aren't quite as high as they were a few weeks ago. That means one thing – summer is coming to a close. 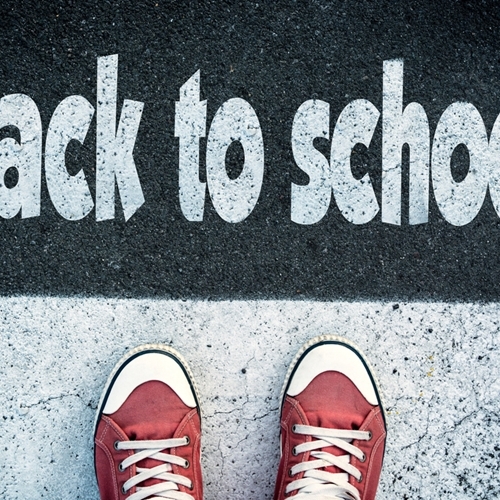 For students all across the country, it's back-to-school time yet again, and the cooler weather once more coincides with a rush to stock up on all the necessities needed for academic success. In this day and age, you may also want to bring a car along to campus with you for the added convenience. But with so many choices available, you may suffer from a bit of analysis paralysis. Here are some tips to help you narrow down your decision. Does your school even allow cars? Heading off to college for the first time can be a great confidence-builder for those who can't wait to stretch their independence, but before you get too attached to your dreams of freedom thanks to your own set of wheels, you should do some research into your school's policy regarding students and cars. Some universities don't permit on-campus residents to bring cars to school with them at all, while others restrict the practice to upperclassmen only, whether it be for safety or parking reasons. Your first step before heading to the dealer should thus be to find out if choosing the perfect set of wheels is even practical. The sticker price of your car is just one factor to take into account when choosing a model. If you haven't yet adapted to the frugal penny-pinching student lifestyle, prepare to assimilate it as part of your new identity. There's no denying that over the next four years, saving money will be your No. 1 priority, and it should come into play when choosing your car as well. Don't just look for a car with a low sticker price. 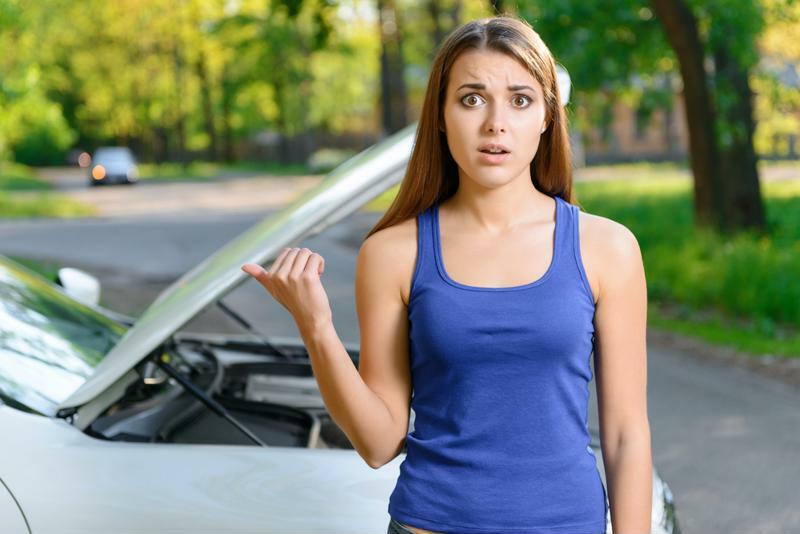 While it may seem more appealing to take on a smaller loan, you may be setting yourself up to actually spend more money down the road due to reliability and fuel efficiency issues. In addition to its sticker price, a car also has a total cost of ownership. This is a value that estimates how much money you can expect to pay in things like gas, repairs and other incidental costs over the period you own it. In many cases, this is where the real money is lost or saved, so ensure that your research includes a reputable source such as Kelley Blue Book that can fill you in on this important information. "Bigger isn't always better, especially when it comes to student cars." Bigger isn't always better, especially when it comes to student cars. As tempting as it may be to buy a large vehicle and turn it into an on-campus party bus, there are several reasons you should resist this urge. For starters, larger cars tend to cost more to own. Smaller vehicles typically have smaller, more fuel-efficient engines, meaning you'll spend less at the pump filling up your compact car than you would an SUV. Additionally, the more seats your car has, the more people you may be tempted to put in it. Not only is this not great for a budding student's academic career, but being "the one with the car" on campus is also a surefire way to rack up a high gas bill. When you're ready to shop for your very own back-to-school wheels, head over to New Jersey State Auto Auction. You'll find hundreds of Carfax-certified cars on the lot, and a knowledgeable and supportive sales staff willing to help you through every step of the process. Sadly, all good things must come to an end. This applies to that final season of "Breaking Bad" you've been watching as well as relationship with your car. But what do you do once you've decided that it's time for you and your beloved car to part ways? 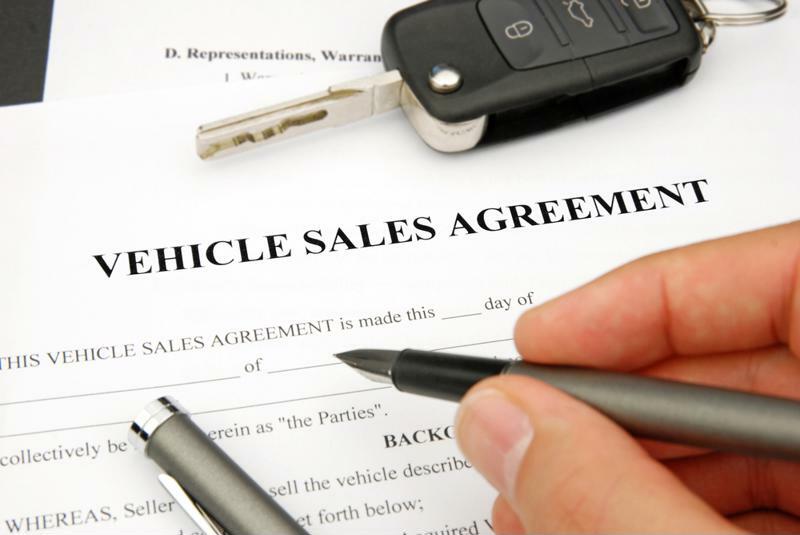 Selling your car can be a complicated and intimidating process, especially if it's your first time. Fortunately, with the right knowledge and preparation, it doesn't have to be. Whether you opt for a trade-in at the dealer or want to take the leap and sell your car yourself, there are a few steps in the process you shouldn't overlook. Keep these tips in mind. 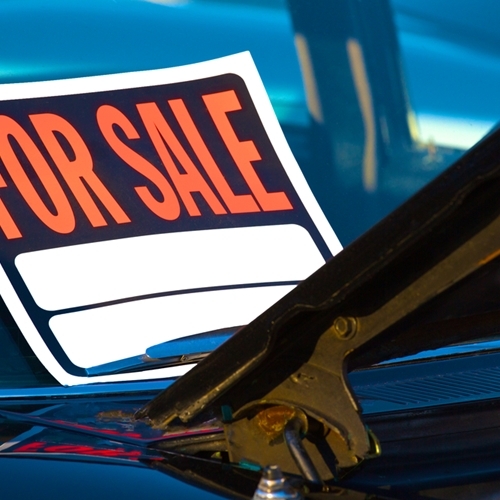 We all know that it's what's on the inside that really counts, but when it comes to selling cars, that isn't necessarily true. While it's obviously important to have your car in great working order if you're trying to sell it, don't neglect the more aesthetic aspects of your vehicle. Like it or not, potential buyers are going to make their first impression of your car based primarily on what it looks like, so a dirty paint job and drab interior upholstery aren't doing you any favors. When you decide to sell your car, your first step should be to wash it and clean the interior thoroughly, so you can show off your ride with pride to those who may be owning it next. Nobody likes being burned by purchasing a lemon, so take care not to put another person in that same situation. Have your car inspected by a trusted mechanic before you sell it so that any maintenance issues can be pointed out and fixed. If you forego this step, you're simply giving buyers more ammunition to drive your asking price down. "Do you know off the top of your head how much your car is worth?" Do you know off the top of your head how much your car is worth? Chances are, probably not. It's crucial that you take time to look up estimated values of your car based on make, model, mileage and age. Sites such as Edmunds and Kelley Blue Book provide free online tools that can do this for you. Just be aware that these figures are guidelines only – the value of your individual car may be more or less depending on a variety of factors. When you're ready to sell your car and move on to another one, head to NJ State Auto Auction. You can trade in your existing vehicle for one of hundreds of Carfax-certified cars, all with the help and guidance of friendly sales staff.